Whether you spend your free time enjoying the sea air from your private patio or balcony or preparing fresh seafood in your gourmet kitchen, the studio, 1 and 2 bedroom apartments at Domain offer premier San Diego living. Ranging from 598 to 1,309 square feet—and with loft-style options with vaulted ceilings—the models at Domain blend modern, open spaces with luxe features and finishes designed to suit you. Oversized closets and plush carpeting in your bedroom give way to hardwood-style flooring in your home’s common areas. Gorgeous walnut cabinetry in your kitchen serves as the perfect contrast to the shine of the stainless steel appliances and granite countertops. Contemporary fixtures, including pendant and track lighting, add to the luxe feel. For your convenience, an in-home washer and dryer set comes standard with every home as well. 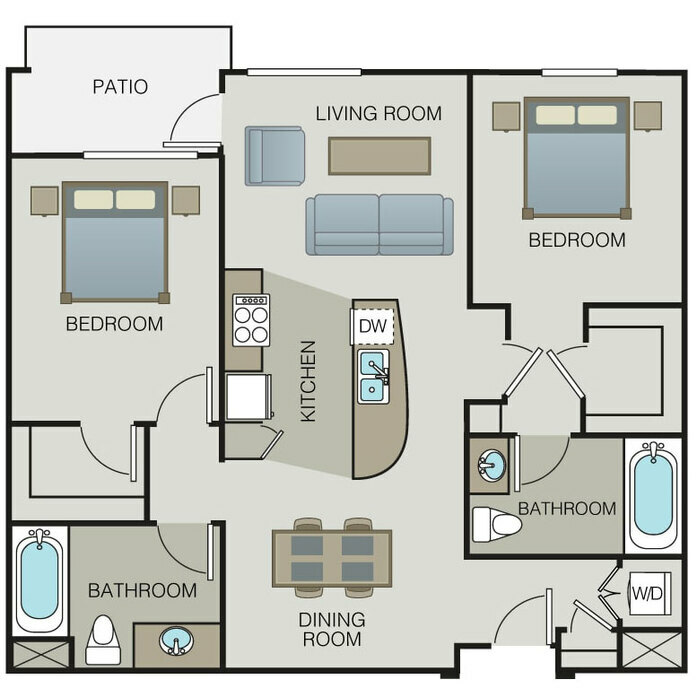 Contact Domain today to learn more about the floor plans currently available.